While the S&P is down low double digits for the quarter, the real damage was elsewhere. Small caps have been obliterated, as the Russell 2000 is down well over 20%, and commodities have simply been decimated. Below is the quarterly performance in the group with a few hours to go. 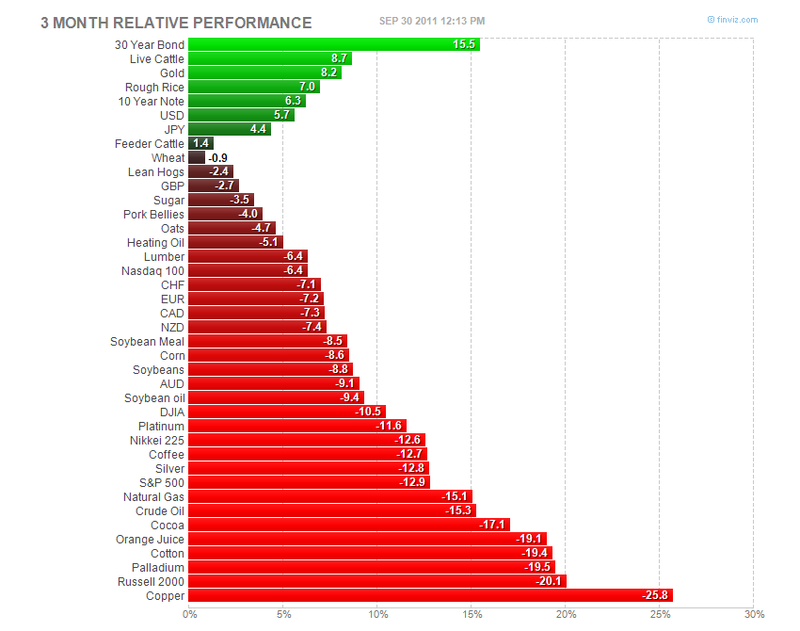 You eeked out some small gains in gold and ...err, rough rice and live cattle. Otherwise, it's a sea of double digit red.